On 16 April 2016, a 7,8 magnitude earthquake destroyed around 7000 buildings on the Central Coast of Ecuador. Thousands of families were consequently challenged at a mass scale in their access to safe, if any, drinking water. Tap water systems collapsed in several towns. People were drinking rainwater from rooftops, hand dug wells and water trucks. In this dire situation of humanitarian need, the basic right to clean drinking water and the prevention of waterborne diseases became a matter of extreme importance. 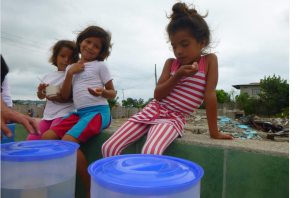 On this World Humanitarian Day, we thought it only fit to highlight the response of BWN’s partner in Ecuador, Sustainable World BV, during this time. 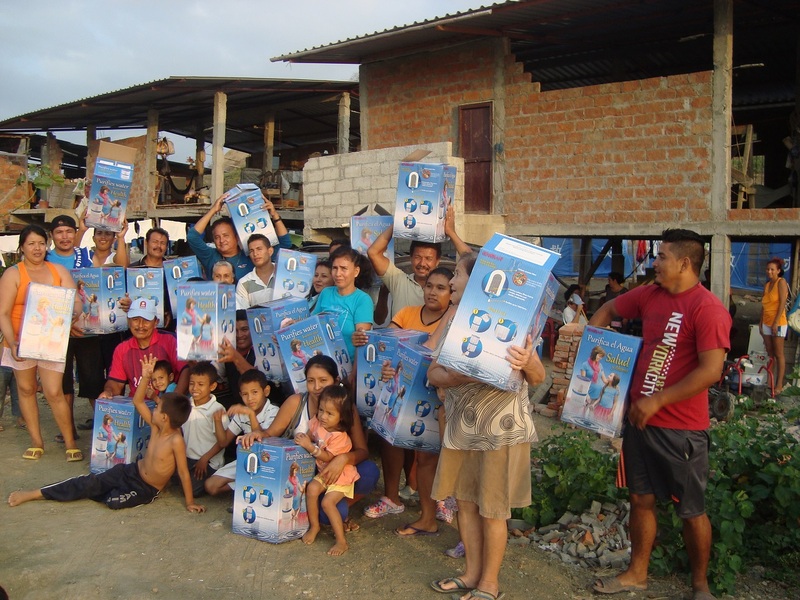 Sustainable World BV stepped up and responded quickly when there was a sudden influx of orders of their ENEWA® water purifier, containing BWN’s Tulip® ceramic filter, which provides on average 7000 liters of purified water per candle. 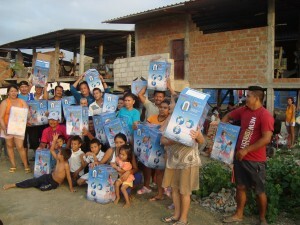 A series of 2000 ENEWA® water purifiers were produced in less than a week. Subsequently, around 7000 families affected by the earthquake received a water treatment system donated by informal groups of altruistic people or NGOs. Additionally, Sustainable World BV supported local volunteers working on the prevention of waterborne diseases via the use of video materials and technicians. This video, for example, helped thousands of families in increasing awareness and understanding of waterborne diseases and how they spread. But the relief efforts didn’t stop there. Sustainable World BV is currently importing a container of a further 16,000 Tulip® ceramic filters to ensure spare parts will be locally available for all those in need, meanwhile going that extra mile in establishing local distributors of the product in the most affected towns to ensure increased access to safe drinking water for all those impacted by the destruction of this catastrophic earthquake. 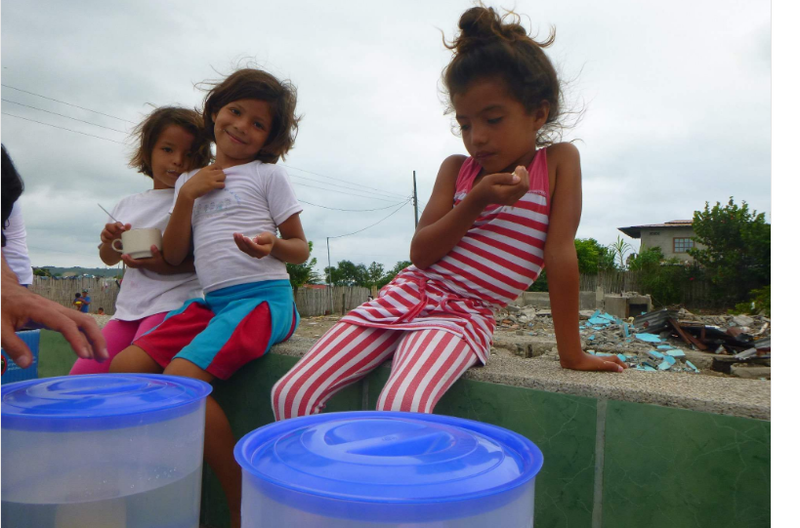 Here at BWN, we are proud to be able to provide products that can assist in humanitarian relief efforts and to be working with such a responsive and socially conscious partner as Sustainable World BV in Ecuador.